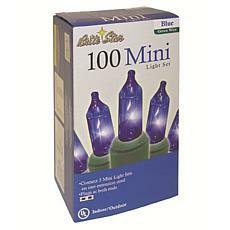 Make your scenery sparkle with this set of 100-count mini lights from Brite Star. 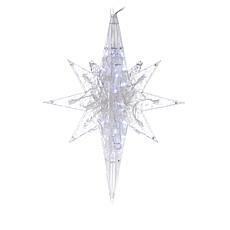 Connect these strands end-to-end with other sets to create and illuminate a bright and merry motif. 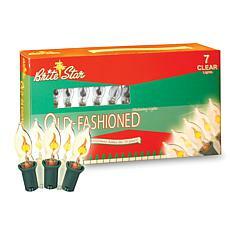 This set includes 1 box of old-fashioned lights. 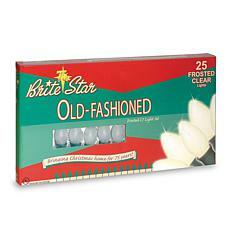 The big bulbs will bring back memories of Christmas-past. 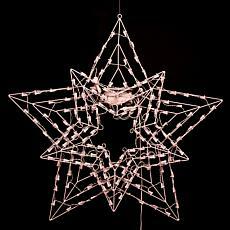 String them on your tree or as a part of your outdoor display and enjoy a vintage-inspired holiday! 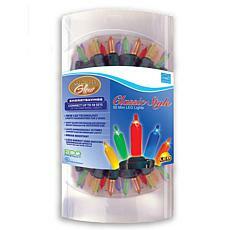 50-LED Warm Glow Multicolor Traditional Mini Light Set Let your holiday spirit shine through. 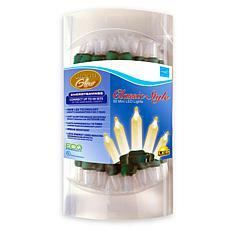 Accent your décor with these festive mini lights. Admire this strand's warm glow as it gives off the look of classic incandescent bulbs, providing your home's decorations with a timeless look of tradition.